Our last week in Connecticut seems so long ago and we’ve done so much that has overshadowed it since then that it hardly seems worth mentioning at all. However, for the sake of completeness and closing out that chapter of our life, we’ll write about it anyway. For our last weekend, like so many weekends before, we yearned to be able to go hiking anywhere with elevation but were unwilling to drive the 3+ hours necessary to accomplish it. So we settled for a shorter, closer peak just on the other side of the MA-CT border with promises of letterboxing. The peak in question was Peaked Mountain (pronounced pee-kid). After some difficulty finding the trailhead, (and ending up not even at the official trailhead) we began our hike. 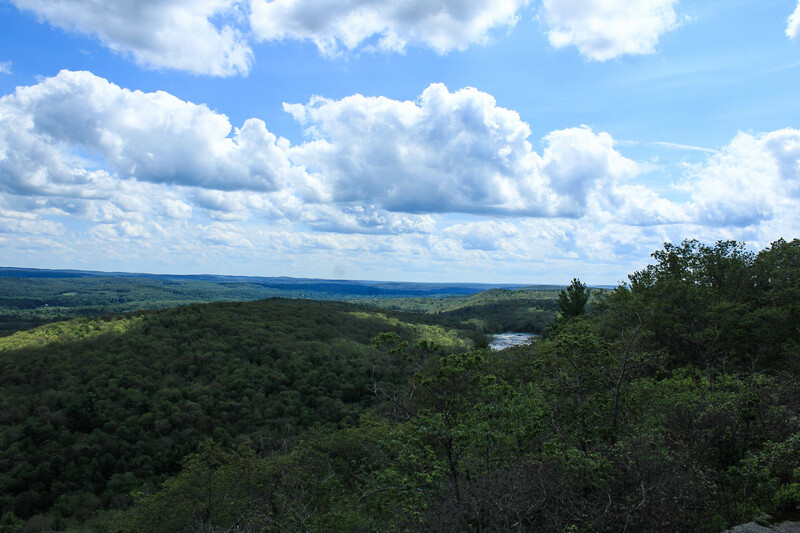 Sadly the letterboxing was in a sad disposition but the views were decent enough for Southern New England and the weather pleasant. It was an easy 2 mile loop trail with several other hiking groups scattered around. 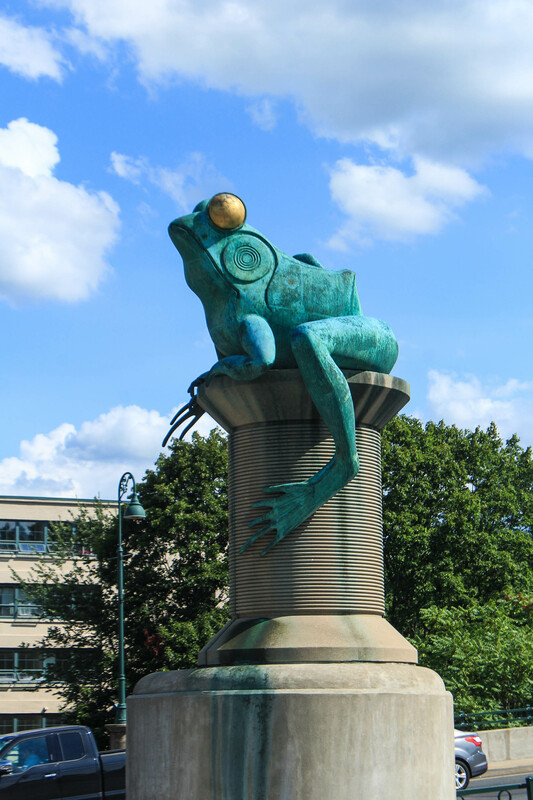 Hiking out of our system, we returned home via Willimantic in order to get a better view of the Frog Bridge that we had seen previously. When we first drove into town it seemed pretty pleasant, but once we got out of the car and started walking it sort of had a sketch feel to it. We made our stop brief, took pictures and found a letterbox, and then returned home for cake. One of our favorite memories from living in Connecticut will be going to the Shoprite down the street and getting a german chocolate cake fresh from the bakery! We were going to try to do a longer hike with a friend on Sunday, but we all ended up backing out out of lack of interest. Curtis was coming down with a cold and we had other things that needed to be done anyway. The rest of the week was spent doing adult tasks like getting the Jeep’s oil changed, administrative busy work, working (Jess), and being sick (Curtis). We still found time to enjoy our last days though. 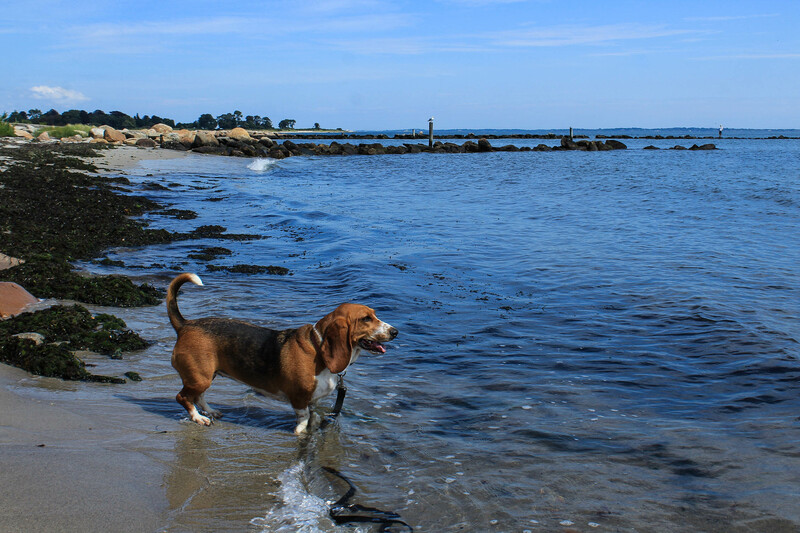 On Wednesday, we took Charlotte out to Harkness Memorial State Park and Seaside Point in order to see the ocean, and so that we can say we went from the Atlantic to the Pacific in ‘X’ days. We also chose these locations because that was the first trip we took while staying in New London, and honestly probably the best. Last trip to the Atlantic for a while. On Thursday, Curtis’ class put on a social at the base’s bowling alley. We bowled some sub 100 games and enjoyed one last get together with Curtis’ work friends. Some of them he’s been with since OCS, and now they’re finally going their separate ways. And then the day we had been anticipating finally arrived: Friday’s graduation day! We packed up the car with all of our things in the morning and then went over to the sub base for Curtis’ graduation just before noon. The graduation was short and to the point, not nearly as big a deal as OCS or Nuke School, but still an important milestone in all of their careers. OK, maybe not THAT big of a milestone. At least not big enough for us to even get a decent picture. The few pictures I took are blurry because Curtis was in such a rush to get across that stage. I think it perfectly depicts how much of a hurry we were in to finally leave Connecticut! After grabbing some cake, we ran home, changed into road trip clothes, grabbed Charlotte, checked out of our “home,” and were off on our next big adventure! 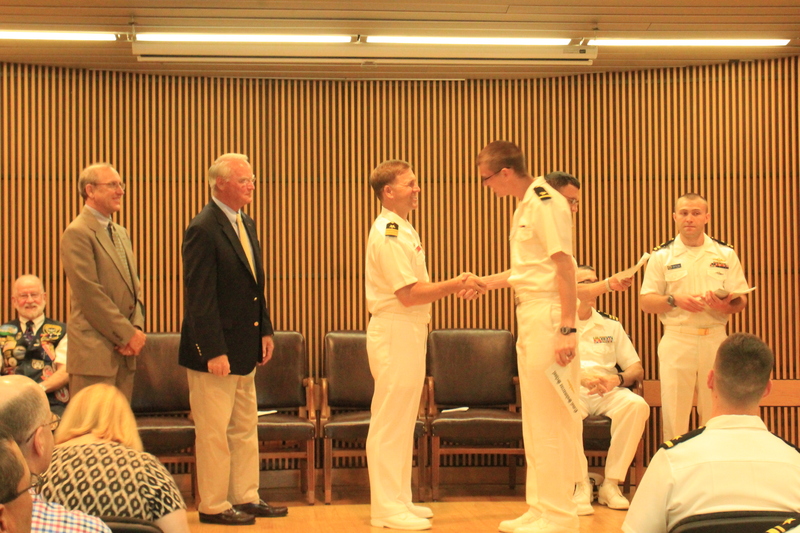 Connecticut, we’ll see you…well, maybe in a few years if we stay with the Navy, otherwise…never again. 😉 New posts about our next great adventure are coming soon!